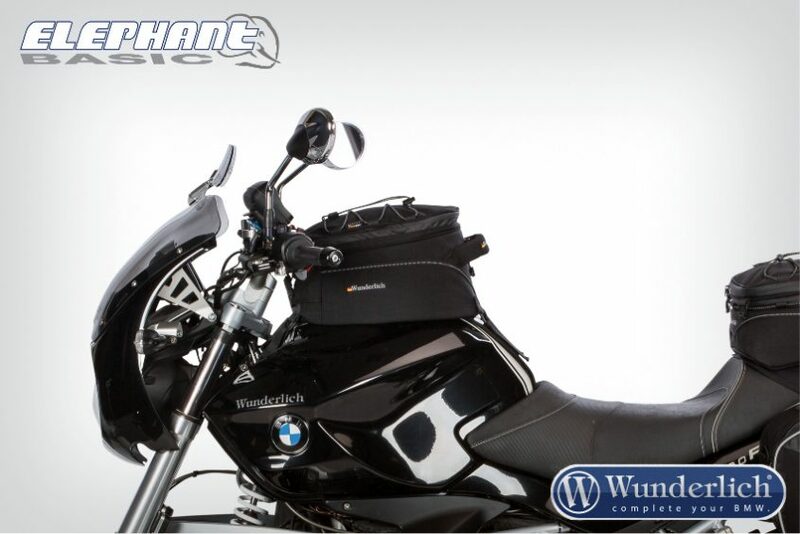 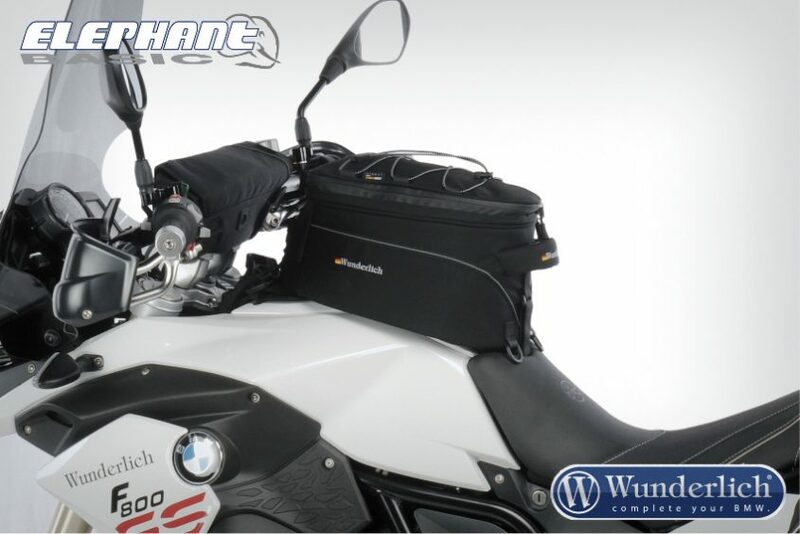 Please order also the special tank bag holder for your motorcycle. 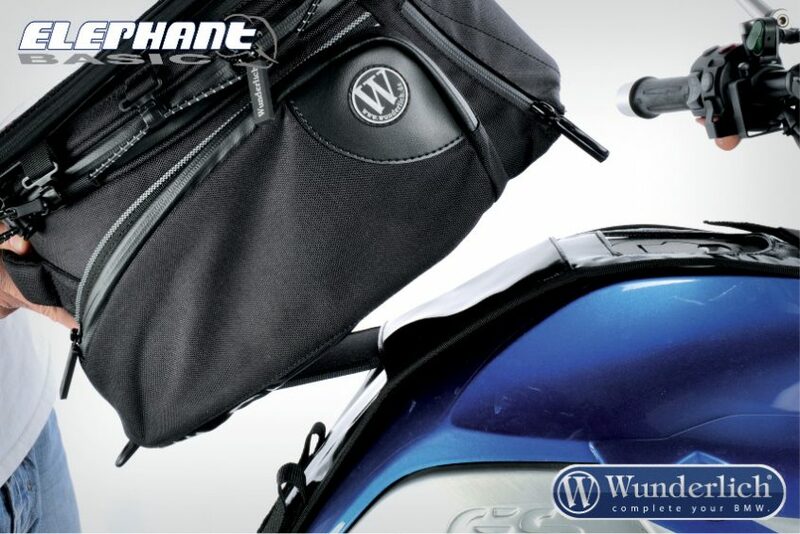 (see below)! 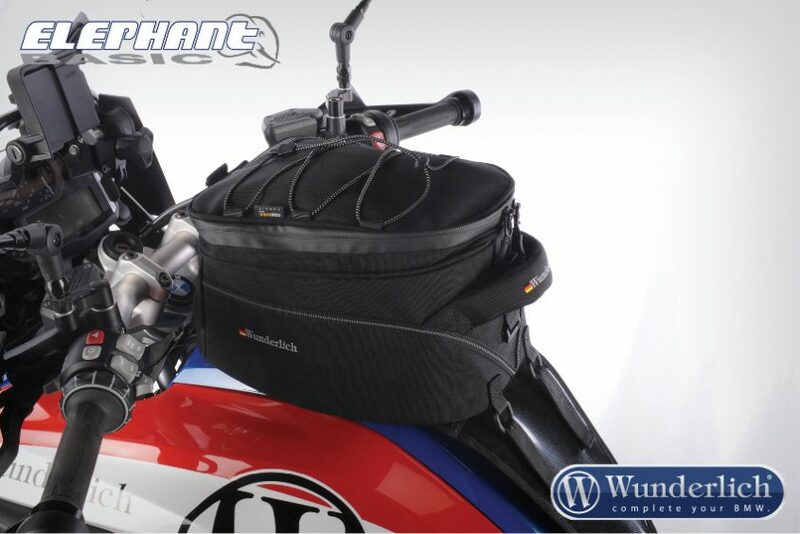 The Tank Bag Light is equivalent to the concept of our Tank Bag Elephant. 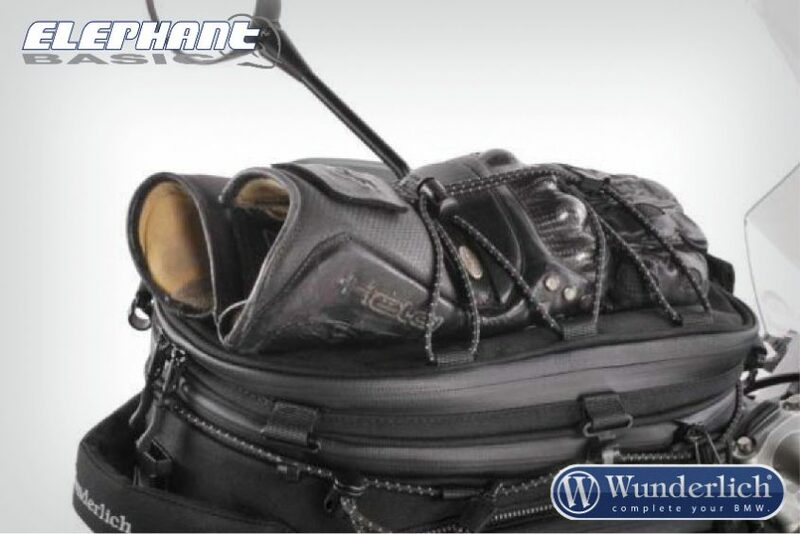 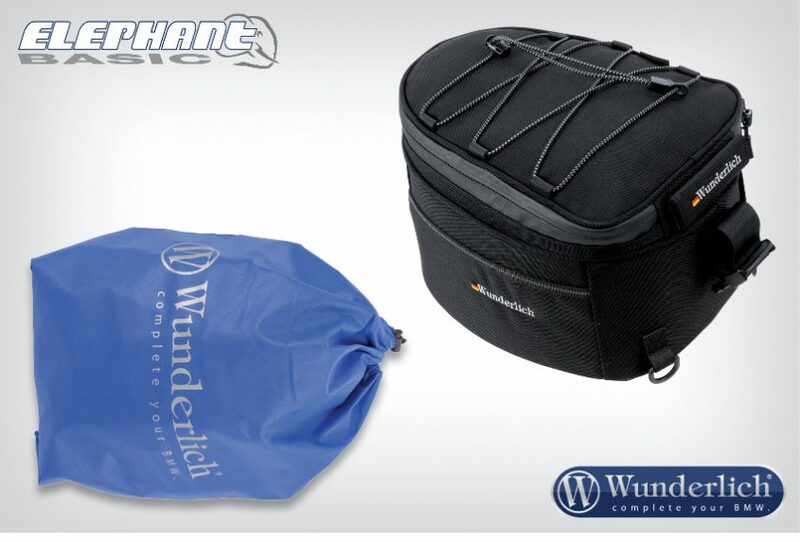 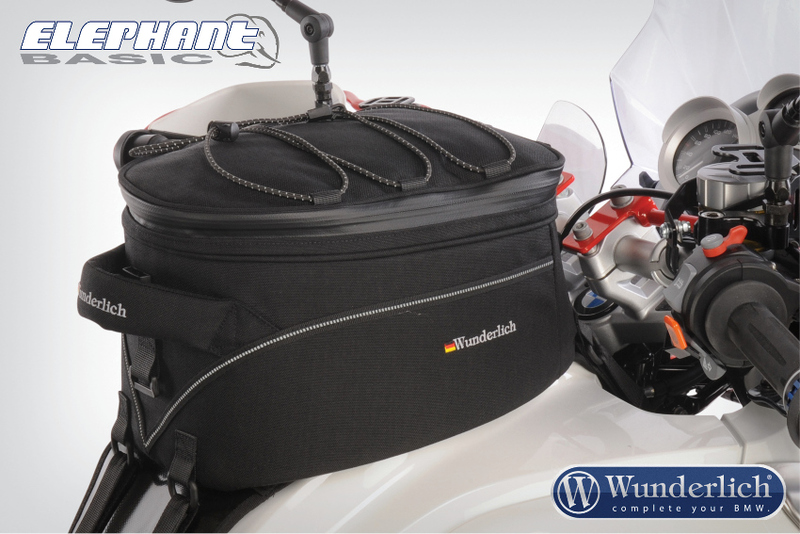 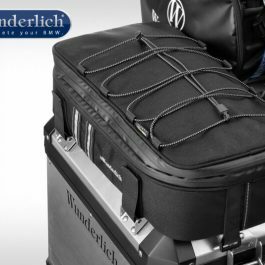 Like this tank bag, it is a custom – made luggage solution with a multifunctional mounting concept, which has not seen before. 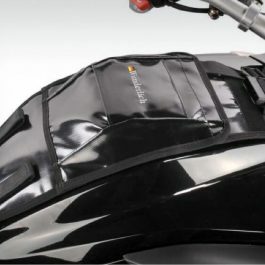 The tank bag is fixed with a quick connection to a previously installed base on the motorcycle. Just attach the holding tab of tank bag to the receiving holder of the base. 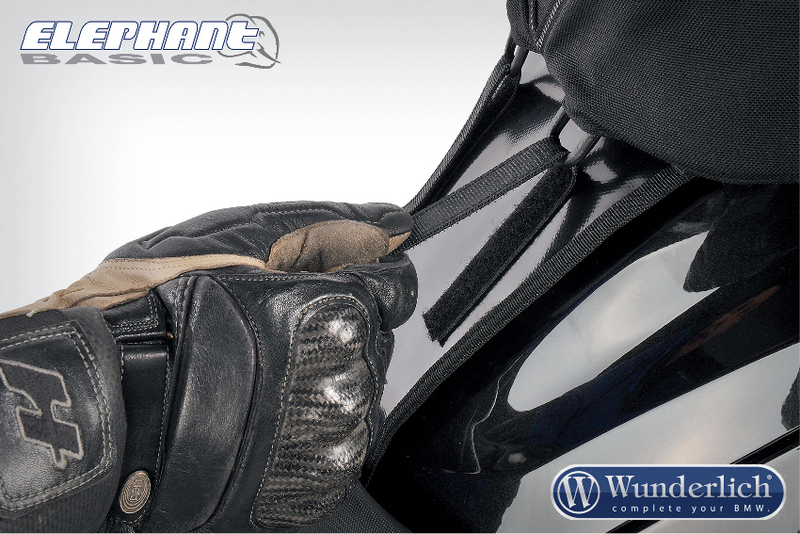 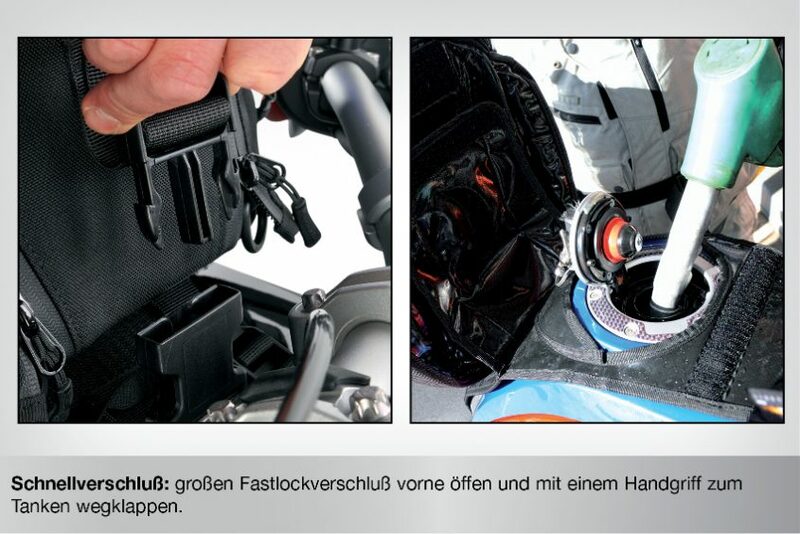 An ingenious quick installation, which facilitates the mounting, even when wearing gloves. 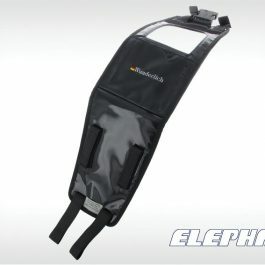 The Tank Bag Light differs in size from the Tank Bag Elephant; it has a maximum capacity of 15 litres and can not be expanded. 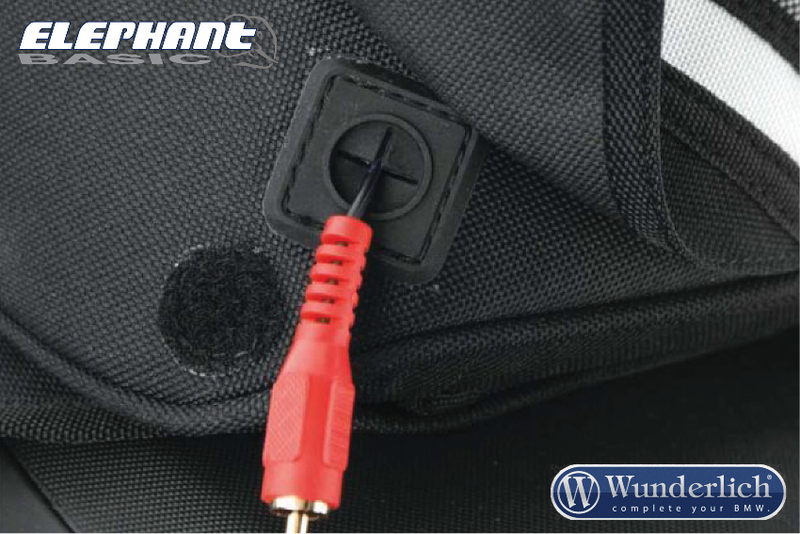 organizer compartement ( fast access to all important things ), removable and useful extra compartements for e.g. 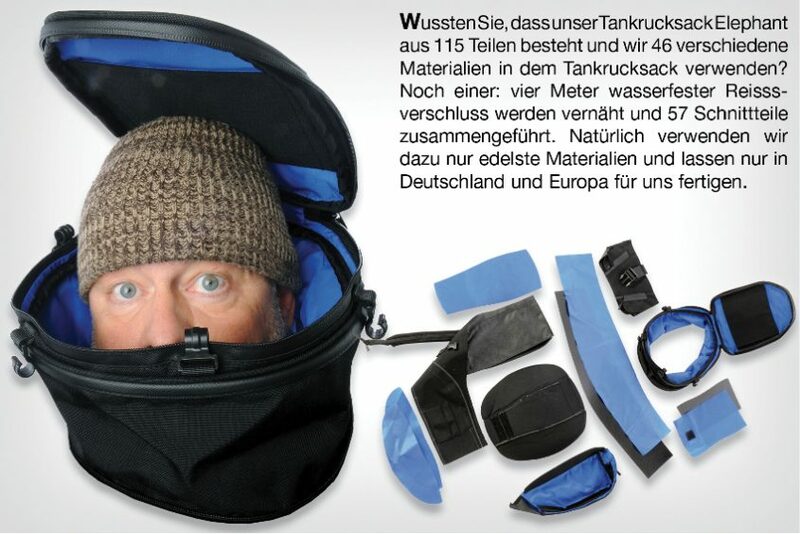 sunglasses, mobile phones etc. 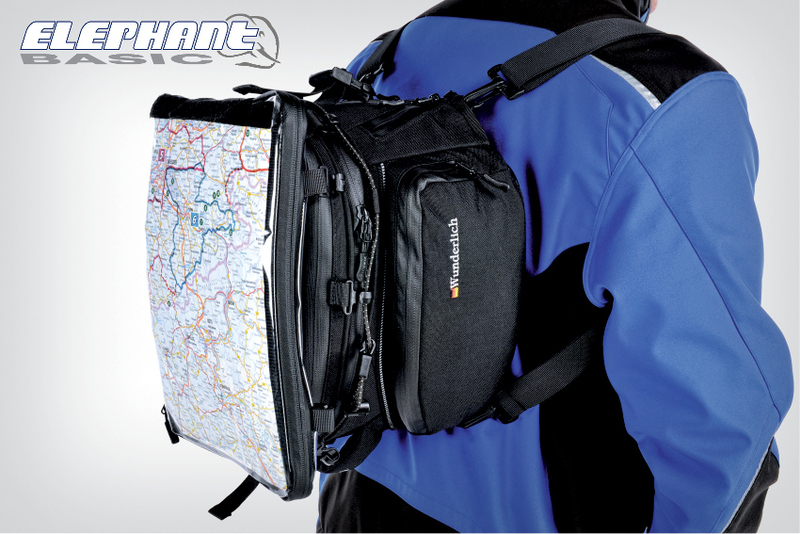 big, reversible and removable map pocket made of robust plastic glass. 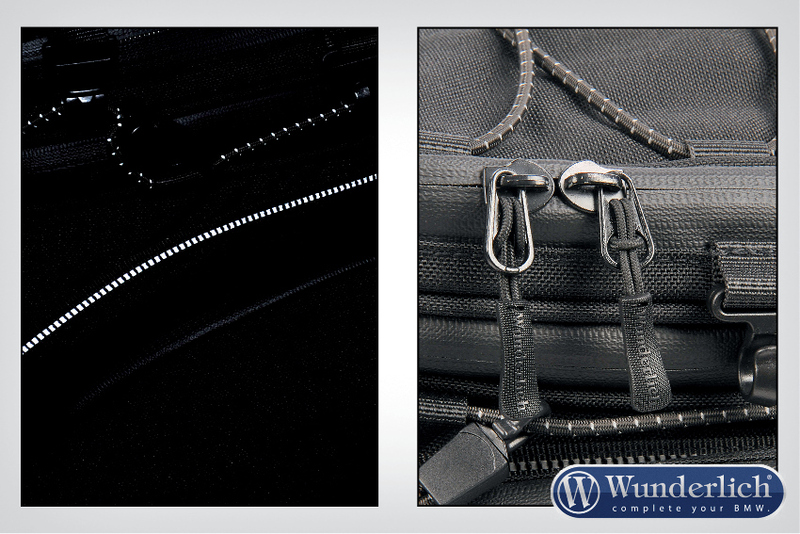 Ergonomic zipper for easy opening – even with gloves. 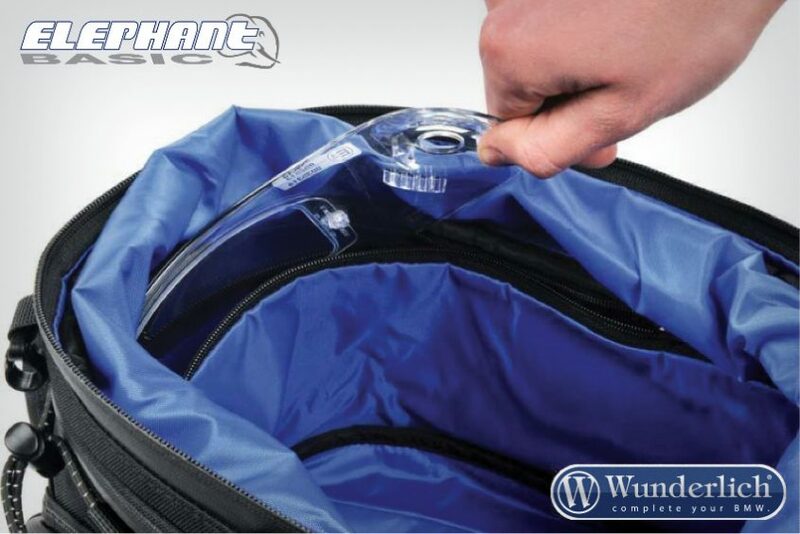 Waterproof 180° zipper for easy insert and remove of maps. 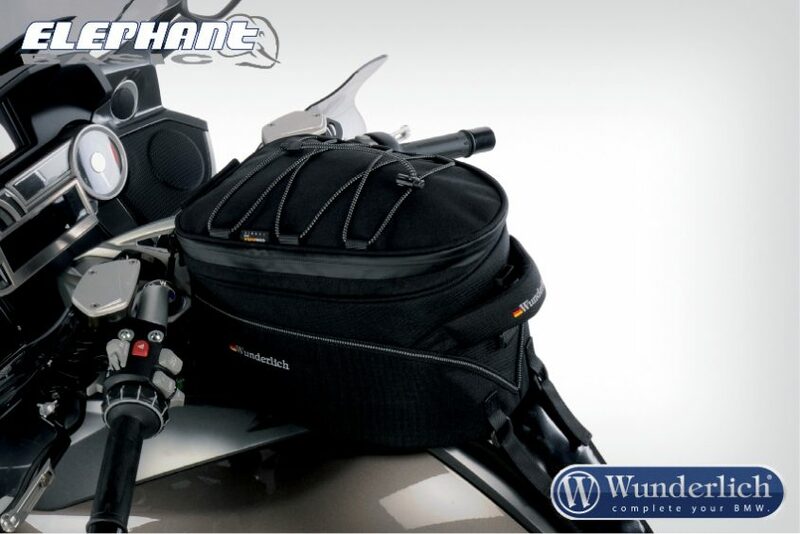 * Please order the vehicle – specific mounting kit separately. 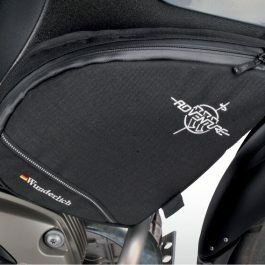 Please order also the special tank bag holder for your motorcycle. 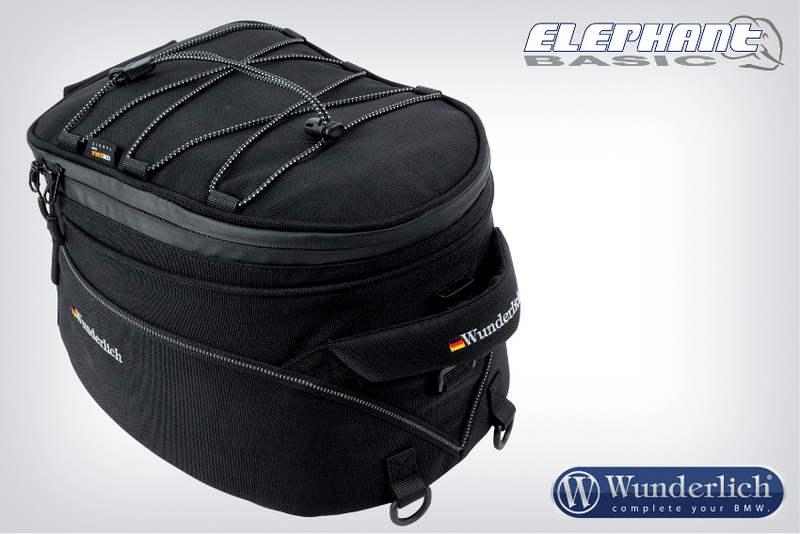 Be the first to review “Tank bag Elephant Basic” Click here to cancel reply.